Since when I started my first blog 6 years ago, I’ve been through all sorts of things…many successes, but, even more, failures. The good part of failing is that you can learn a lot from the experience. And if I can share something that I’ve learned in the online business is the importance of diversifying. Today, I own several websites, based on different business models. I love to test new things, to find out what works for me and what it’s probably not my cup of tea. Owning a piece of the internet is great, one of the best investments anyone can make. With just a few dollars, you can purchase a domain name and a hosting service to get your website up and running. Once you understand how everything works, the possibilities are endless. You can increase your online portfolio, adding properties that make you earn a steady income every month. With time, you will have your favorite web host and domain registrar, but it’s always good to have alternatives or to try different services. You never know if they can become your next favorite service provider! In this post, I’m going to talk about Temok. They are relatively new in the industry, providing web hosting since 2014. They aim to grant high-quality services at the lowest rate with highest customer satisfaction. This should be the goal of every company! When choosing where to base your business, it’s important to hear testimonials of happy customers and get as much information as possible. And now let’s see what Temok has to offers. Temok gives you the opportunity to fund your online business in the same place. Having both your domain name and hosting service managed by one company can help your organization. In this page, you can enter your keyword or name to find your domain name. There are also useful tables with extensions to help with your choice, based on generic categories (the topic of your business, like .audio, .camp or .design), geographical areas (European, Asia-Pacific, African and American) or by community domain extensions. I always prefer to go with the classic and most popular “dot com” extension, but I see the “dot co” is trending, at the moment. Temok also offers bulk registrations and domain transfer service. What I found particularly interesting is the competitive price. If you choose U.S.A., for example, you can get an Intel Core I3 3220 (2c, 4t)/ SATA or SSD Disks, with 16GB DDR3, 2TB SATA storage, 100Mbit unmetered transfer bandwidth, for as low as $63.99 per month, with a $49.95 set up fee. Temok offers a 24/7 support and a 100% uptime. The app development is among my next projects. In 2015, over 190 million Americans alone used a smartphone, and that number is projected to be near 207 million in 2016. Smartphones aren’t just a comfortable way of communication, they are becoming an integral part of people lives. It’s really important to understand how to market an app when created and this post will tell you what you should keep in mind. But the first and most important step remains the development process. Temok offers a great service for the creation of apps and games to help build or grow your business. You just need to come out with an idea and they will streamline the process for you, always keeping you updated on the progress. 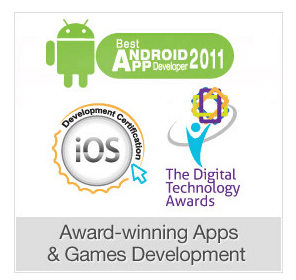 Temok has been awarded as best Android app developer for 2011, by the Digital Technology Awards. Use the form on this page, to contact the Temok staff and get a personalized quote to accomplish your project! Why Should You Choose Temok? They strive to give their customers the best service possible at the most competitive prices. 8 + Years Experience in Serving More than 40 Industries! Temok served millions of clients, creating brand identities for more than 40 industries worldwide. The 24×7 support is synonymous with quality. Thanks for reading my review of Temok today. I hope you can consider their services for your online business, because not always the most popular provider is the best choice. You need to consider other factors, and the price is one of the most important ones (and Temok definitely offers one of the most competitive services I’ve ever seen in this industry). 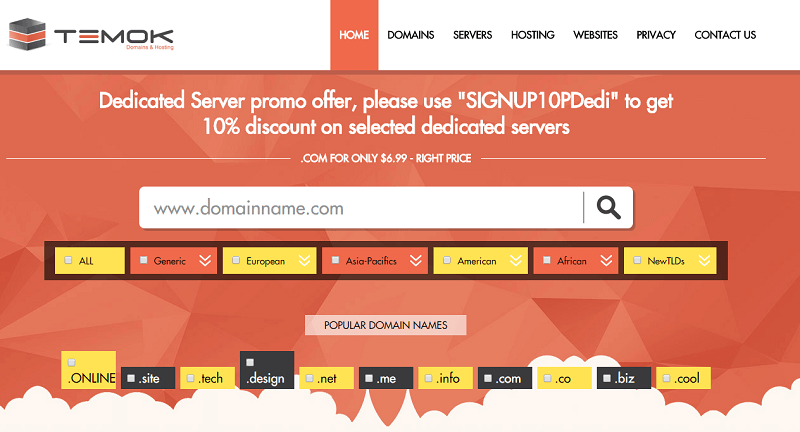 What’s your domain name registrar? Which company are you using for your web hosting? Are you planning to use Temok for one of these services? Or both? Helpful review here. And I too learned that diversifying lesson…..the hard way, of course 😉 Putting your eggs in a bunch of baskets and protecting it on the way to market saves us many, many headaches. Just takes a minute for many to learn that lesson. Me, longer than that lol……definitely go with a domain and host with 1 hoster. Consolidating makes things easier. In a few weeks my wife’s domain is expired, and versus trying to coordinate between hosters and such, I can go to my service to renew and review, quickly. I admire those who nab domains from a gazillion hosters and use services from as many, but that is not for me and my ADD addled mind. having one company managing both your domain names and web hosting offers many advantages. Good to hear your experience with this kind of organization. Thanks for visiting and leaving your comment, mate. Good to read a bit more about your blog beginning! The review about Temok is really revealed the many features of it. Looks like an amazing hosting platform. 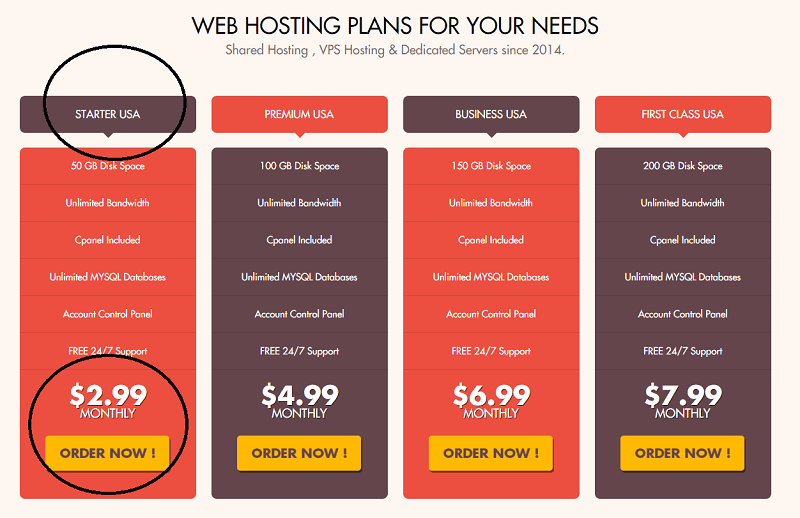 Hey, how come the hosting plan details are given only for the US users! Glad you find interesting my review of Temok. Hope you can try their services.